Our original goal was 100 solar installations in 2016 but we topped 260, making it the most successful program in Massachusetts! As of January 2019, there are over 300 solar sites in town! While the designated installer, Direct Energy Solar(DES) continues to service existing residential installations, as of 7/31/17, they aren't signing up any new residential installs. BGS continues with NeighborhoodSolar.org(NS), working with SunBugSolar.com. Belmont qualifies for the new state MLP Matching Grant Solar Program, so the payback period should be in the same range as under the old SREC II state incentive program which expired in 2018. Alternatively, you can get quotes from a free solar clearing house called, EnergySage.com where you can get bids from multiple solar installers. Belmont Volunteer Solar Coaches can still be reached at coach@BelmontGoesSolar.org or 617.855.8209 to assist with your decision. Belmont Goes Solar is a volunteer group of Belmont residents knowledgeable and enthusiastic about solar. The group is supported by the Board of Selectmen, and formed by members of the Belmont Energy Committee, Mothers Out Front, Sustainable Belmont and Belmont Light. It is not an agency, board or committee of the Town of Belmont. Get a free roof assessment by calling 617-855-8209 or emailing coach@BelmontGoesSolar.org. Volunteer Belmont Goes Solar coaches Mark Davis, Martin Plass and Mark Robbins are Belmont residents who are very knowledgeable about solar and have volunteered to answer your questions. Email coach@BelmontGoesSolar.org or call 617.855.8209. 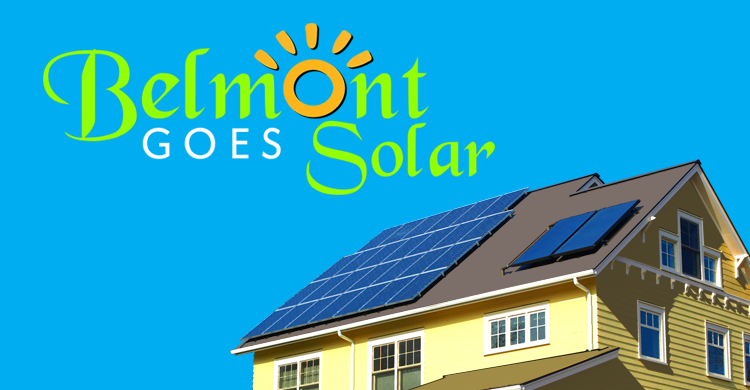 Check out the FAQs section to learn more about Belmont Goes Solar and your solar options.